Studies have shown that about 10 percent of men infected with human immunodeficiency virus (HIV) have an elevated resting energy expenditure (REE). Their bodies use more kilocalories for basic functions including circulation, body temperature, and breathing. Most studies have been conducted in men and those with solely women have had small sample sizes. A team of researchers has sought to rectify this with a matched, prospective, cross-sectional study. The results are featured in a new report published by the Journal of the Academy of Nutrition and Dietetics. “To our knowledge, no studies have been conducted that dissect the effect of HIV infection versus antiretroviral therapy,” says lead investigator Grace McComsey, MD, FIDSA, Chief Pediatric Infectious Diseases, Rheumatology and Global Health at Case Western Reserve University School of Medicine. “The purpose of our study was to compare REE in HIV-infected women who have never been on antiretroviral therapy (ART), those on ART with virologic suppression, those on ART with detectable HIV-1 RNA, and HIV-negative, healthy women.” Antiretroviral therapy typically consists of at least three drugs to fight against fatal HIV effects and improve quality of life. The study team recruited women from the John T. Carey Special Immunology Unit at University Hospitals Case Medical Center, an out-patient HIV clinic in Cleveland, Ohio between 2004 and 2011. The women were matched by age and body mass index (BMI). Healthy women who volunteered to participate in the control group were mostly hospital employees. In total, 87 women participated, 62 with HIV and 25 without. All participants received a clinical evaluation for weight, height, and waist and hip measurements and responded to questions about their exercise habits and alcohol, tobacco, and drug use. Investigators determined their body composition and measured their oxygen consumption to determine REE. They also consulted medical records for further information about current medications and HIV diagnosis details. REE is significantly higher in HIV-infected women who have never been on ART when compared to healthy women. REE is significantly higher, when adjusted for body composition changes, in HIV-infected women who are on ART with undetectable HIV-1 RNA compared to healthy controls. REE is significantly higher in HIV-infected women on ART with detectable HIV-1 RNA compared to controls. 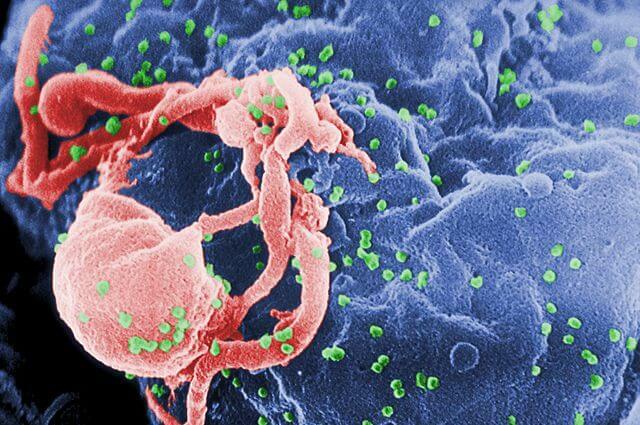 REE was not different between the HIV-infected groups. In addition analysis revealed that REE strongly correlates with two common equations used to predict energy expenditure and with body cell mass, BMI, and fat mass. The investigators hypothesized that those with increased REE may have a greater absolute production of reactive oxygen species if tissue oxygen concentration also increases, leading to more oxidative stress. This needs to be investigated in future studies. Dr. McComsey also notes the need for further study of ART initiation to assess the effect of HIV infection on REE and the effect of specific antiretrovirals on REE.